Hi, I'm Eric Budd and I'm running for Boulder City Council. 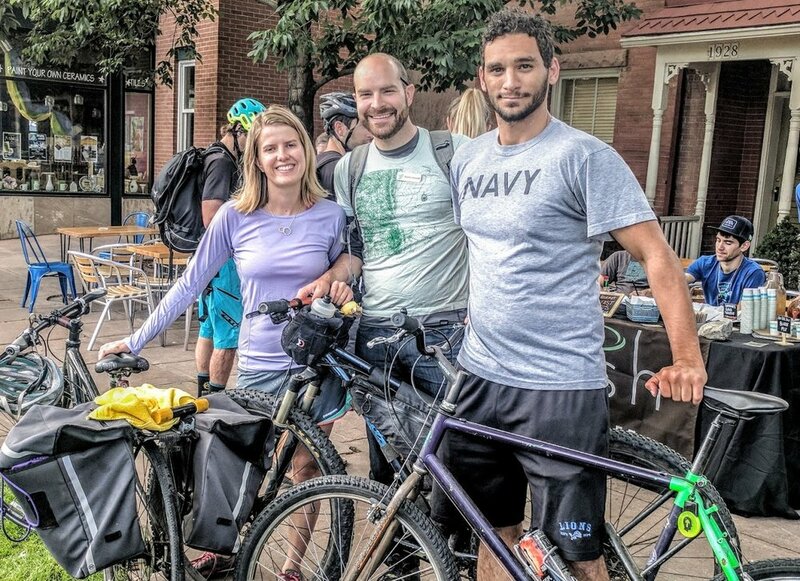 I believe we need bold, progressive leadership to fight climate change, to honestly face our critical housing and transportation demands to ensure a middle class can live in Boulder, and to become a more welcoming community. The current administration has made it clear that we’re not going to see climate progress on the federal level—so local communities like Boulder need to lead by taking bold action to decarbonize. Three years ago, I made a big decision, committing to 100% alternate transportation as my individual way to reduce my carbon footprint. Whether you bike, go solar, or just turn out unneeded lights, our individual choices add up, and so does our commitment as a community to achieve 100% renewable electricity by 2030. We need strong, thoughtful leadership to move forward on the best option to decarbonize our electricity, and to champion progressive policy that cuts carbon emissions from transportation, as well as commercial and residential development. The city’s carbon footprint comes from multiple sources, and we need to act on all of them. Our path forward may not always be in a straight line, but we need to push forward to decarbonize our city from all emissions 80% by 2050. Seven years ago I moved to Boulder because it’s a place that shares my values—a strong environment of involved, active, and innovative people. Because we live in a desirable place, I—like many people—have made sacrifices to live and stay in the community. I was able to stay here by renting a very modest apartment on Broadway that I was eventually able to buy. But increasingly our seniors, families and young people have fewer options to stay in Boulder. Our strong economy puts huge pressures on housing, roads, and public services and our policies are pushing out the middle class. On city council, I’ll push forward on housing policy that keeps Boulder accessible, gives transportation options to all people, and protects the quality of life that Boulder residents love. I believe local government should be the place where everyone has a say. Because I value openness and transparency, I make myself available online and get out into the community to build relationships and listen. We need to make it easier for more people to have impact on the decisions that affect them, particularly those who are under-represented in our city government and public processes. I will lead to increase diversity, access, inclusion in our city and help make Boulder a more welcoming community. I look forward to hearing about your values and viewpoint, and I hope you'll take the opportunity to get to know me and what I stand for. Please vote Eric Budd for Boulder City Council. Get to know Eric, his story, our values, and the results of his years of community involvement. Ready to get involved? Contribute, volunteer or stay connected. Your Budd on City Council. Call Eric at (720)295-1122.